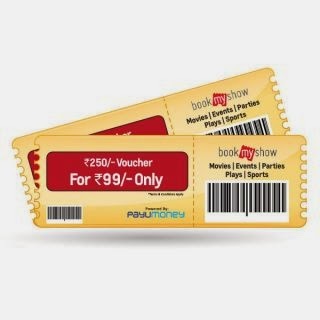 On All India Coupons, we only share the best deals and discount offers, and here is another awesome deals, you can get for BookmyShow 250 Rs voucher in just 99 rs with the whopping 60% Discount coupon code. This bookmyshow offer on Shopclues is for a limited time. So, it would be better, if you grab this deal ASAP. Loot Lo! How to Grab this Bookmyshow voucher at 60% Disoount? Go to Shopclues Offer Page. Note : You have to Pay via PayU options by Your Debit, Credit Card or Net Banking.